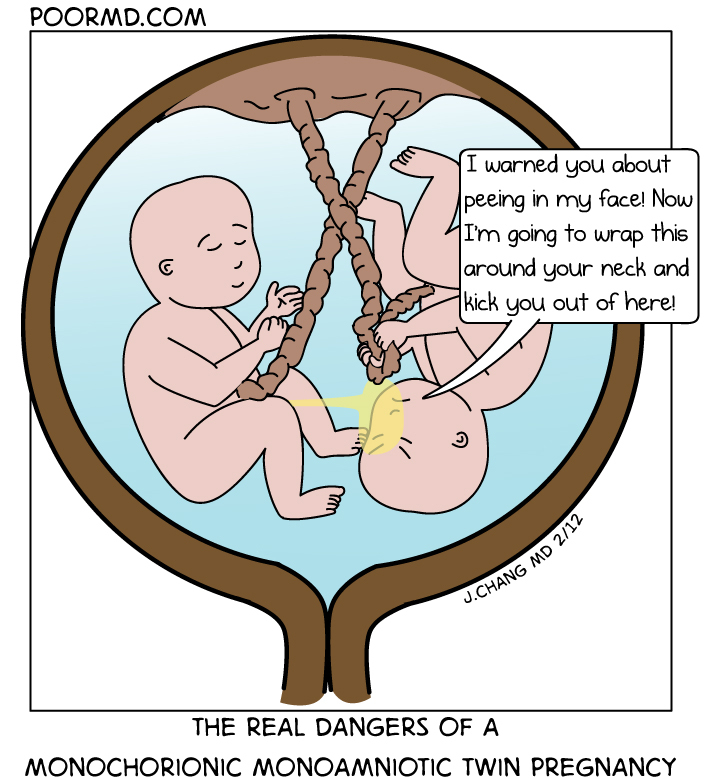 While studying OB ultrasound and the well-documented risks of a monochorionic monoamniotic twin gestation, for some odd reason this scenario popped into my head. I imagine being cooped up in a small little sac with your sibling. With no membrane to separate the two, all the punching, grabbing and peeing could get a little unnerving. Forget cabin fever, I'm calling this one, "Womb Fever."